Do your own business cards on the Internet. 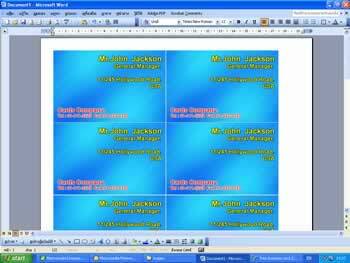 Make A business card (Sharpen characters). Using a business card. Design on the Internet. Then the image is printed on to MS Word. How to put pictures on MS Word to insert images from files. That we recorded. Then to determine the size of the image. By clicking on the image 2 times, and then select the size of business cards. Then make a copy and paste. One page will have about 10 sheets. The paper defined edge to edge close as possible. 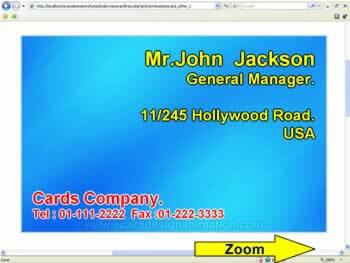 You will have business cards with letters that have higher resolution. Than printing via Internet.